Visit the Updated Q&A FORUM and post your questions there!! Complete Breakmate System, Ready to go! 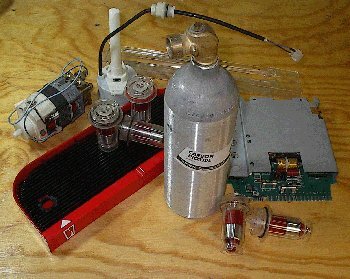 This kit includes everything you need to get a Breakmate system making soda, except syrup and a standard CO2 tank that must be purchased locally due to shipping regulations. As for accessories to start off with, I would suggest the external water jug attachment (no need for plubing). This is the standard Breakmate unit. When you purchase a machine from us, you can feel secure with a 6 month warranty. Each machine is fully cleaned and sterilized inside and out and tested extensively. Email us for more information! 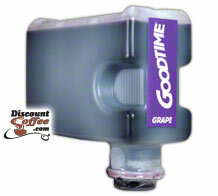 Just one of the many accessories available for the Breakmate is the Water Jug attachment. With this attachment, the Breakmate is totally portable! No need to attach your Breakmate to a water line. This is the recommended alternative to the Watermate attachment. See accessories page for more info. If you need parts to get your machine back to working order, we can help! We stock most parts for immediate delivery. 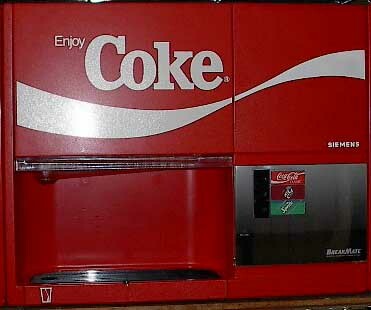 As a dealer we have access to any Breakmate part that Coca-Cola USA sells, and even some that are no longer available! See our parts and supplies pages to order common items online. If you are just looking for the users manual for the machine, here it is in .pdf format. � copyright 20010 Mr. Breakmate.com, a division of Ty's Supplies, LLC. All Rights Reserved.